What OneDrive Triggers and Actions are Supported? New Folder - Triggers when a new folder is added. New File - Triggers when a new file is added in a folder. Create New Text File - Creates a brand new text file from plain text content you specify. Upload File - Upload an existing file or attachment not bigger than 60 MB. Find File - Finds a file by name. Find Folder - Finds a folder by name. The first thing you'll need to do to get started with hooking up OneDrive with Zapier and hundreds of other services is to add your OneDrive Account to Zapier. Click to add a OneDrive account in your Zap. 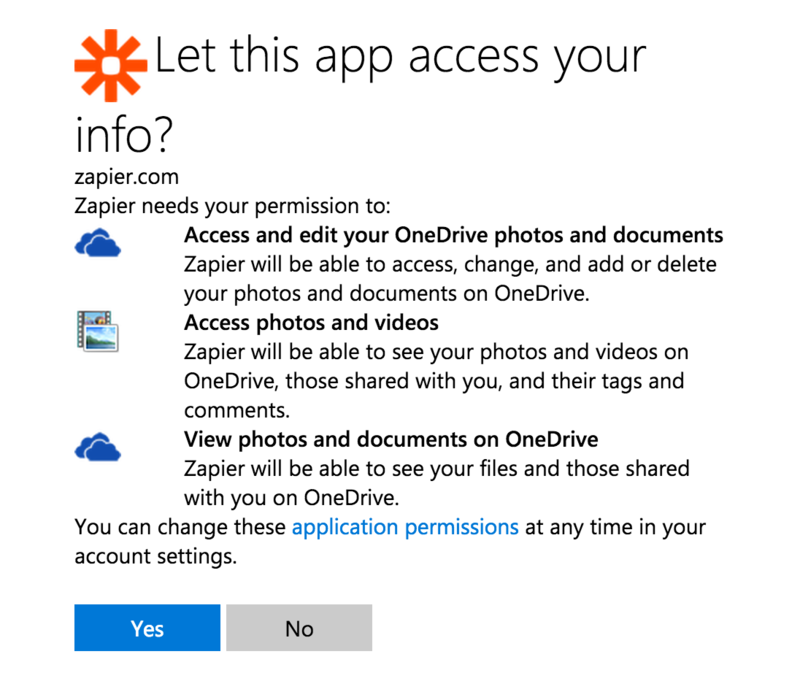 You should then get a pop-up window from OneDrive asking you to log-in to authorize the connection between that OneDrive account and Zapier. If you are already logged in the pop up will show right away. You will then click "Yes" to let OneDrive connect to Zapier. 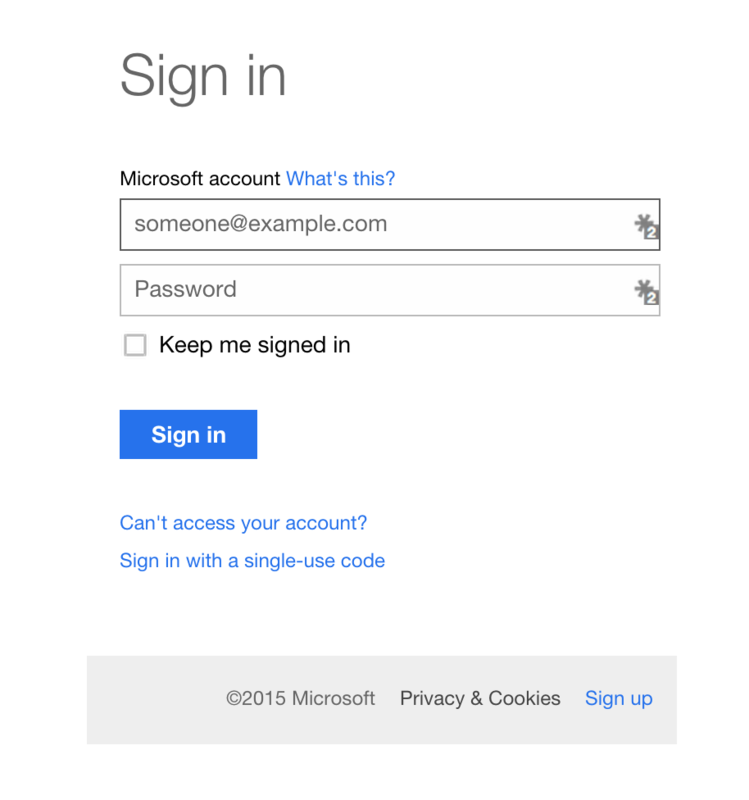 Logging into and authorizing OneDrive finishes the process! Your OneDrive account is now connected to Zapier.